Making connections between the past and the present is a driving impulse of The Shadow District (Harvill Secker, 2017), the first of a projected trilogy that is set in wartime Iceland after the war, and in the present. A young girl is found murdered by an Icelandic young woman and her American beau behind the National Theatre in Reykjavík in 1944, a frequent site for trysts between local girls and foreign troops when the country was occupied by British and American forces. Two officers investigate: the more experienced Flovent and his young partner, Thorson, a Canadian with Icelandic roots. The two officers are conscientious investigators who ultimately arrest a student of Icelandic folklore for her murder and the disappearance of another young woman three years earlier who may have been driven to her death by a local folklore story. Yet they botch the case when the accused is under their care, and combined with external pressure, the investigation is officially closed. The inconclusive ending of the case shadows the two men for the rest of their lives. Thorson is so dissatisfied that he returns to Iceland after the Second World War hoping that some new clue will turn up. In the present setting, Konrad, a bored retired detective requests to unofficially assist the Reykjavík police with a recent death that might be murder when an elderly man dies under suspicious circumstances. In his flat are a number of newspaper cuttings which refer to the death seventy years earlier that prompts Konrad to realize that the old man may have found something that motivated him to reopen the 1944 murder case that may have cost him his life. 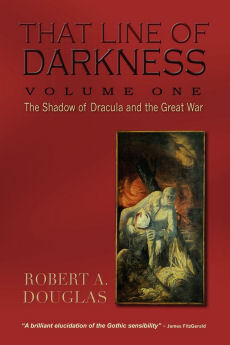 Konrad’s suspicions intensify as he interviews survivors who were either ignored at the time or were not known about. 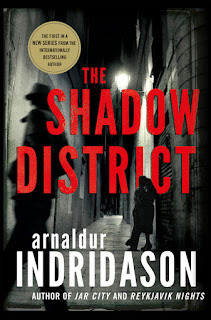 Assisted by Indridason’s clean prose style and his ability to keep the timelines clear, the narrative switches seamlessly between the two investigations that are eventually woven together in a persuasive manner. He is particularly adept at underscoring the power of Icelandic folklore and how social attitudes, particularly toward women and sexual preference, have vastly changed. At the same time, he is perceptive enough to realize that the powerful rarely change in their capacity to believe they are above the law or can exercise their power to influence the course of an investigation. 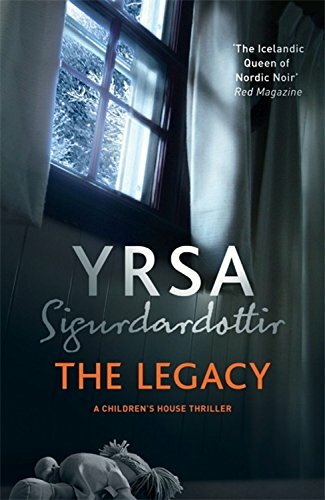 Yrsa Sigurdardóttir is another best-selling award-winning novelist, known for mysteries featuring lawyer Thóra Gudmundsdóttor. Based onSomeone to Watch Over Me (Minotaur Books, 2015) – the fifth book of the six she has written in this series – I was not convinced. Unlike Indridason’s most recent novel, Someone feels cluttered. The major plotline revolves around a young man with Down’s Syndrome who is incarcerated in an institution for the criminally insane after being convicted of setting fire to his assisted living home, killing five people. He says he is innocent but lacks the verbal skills to provide the authorities with evidence that might exculpate him. Thóra is hired to reopen the investigation, something she reluctantly undertakes because her income has dropped owing to the 2008 financial crisis, an event that is given a lot of exposition. 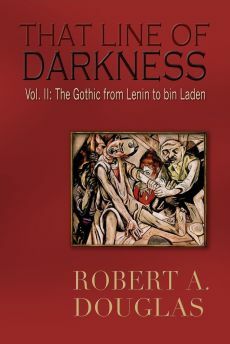 The novel is chock-a-block with several tantalizing subplots that are hard to connect with the main plot. A child believes he sees the face of a dead girl at his window; the vignette opens the novel but then is dropped until much later. A hit-and-run incident that killed a young girl shows promise but it is also left dangling until late in the novel. One of the survivors of the arson attack has experienced a trauma she can’t explain because of her incapacity to verbalize. This is the most heartrending episode in the novel and the one that is best integrated into the primary mystery. But then we have Thóra’s complicated domestic and romantic life which frankly is not all that interesting. At times the novel draws the reader in but it can be a slog until the conclusion which knits the disparate stories together. I did not think I would read another from the series – then I saw that Sigurdardóttir was starting a new one, starting with The Legacy (Hodder & Stoughton, 2017). This time I was instantly hooked. Legacy is the inaugural volume in her new Children’s House series focusing on a home for traumatized children. In a prelude set years before the main narrative, two little boys and their sister are before the board that decides the siblings should be adopted by separate families. What happens next is a graphically-described gruesome murder (the first of several) that leaves a sole witness: Margaret, the victim’s seven-year-old daughter. Newly promoted Detective Huldar turns to Freyja, director of the Children’s House, for help. He initially appears out of his depth and his first official meeting with her is frosty since he had had a one-night stand with her and gave her a false name. But he grows into his position and she realizes that the urgency of protecting their young charge requires both to exercise all their professional skills. Unlike her earlier novel Someone, Legacy is laced with gripping plotting and a perpetrator that comes from a most unlikely source. Discovering the reasons why are almost as important as identifying the killer. For a clue, re-read the opening scene. If you strip away the politics, the history and cold chill of the weather that permeates their novels Sigurdardóttir may remind readers of the trademarks of Stieg Larsson and Jo Nesbo – flawed as human beings but often brilliant investigators, family histories with secrets that often have devastating consequences, and outbursts of horrific violence. The cold chill of Iceland is also absent in the gritty television series Case (now on Netflix). Indeed, the time setting of this relentlessly bleak drama is the summer when the sun never seems to set. The lack of sleep does not figure into the plot the same way that affected the police investigation in the 2002 film Insomnia but it does affect people’s mood as they become more irritable. 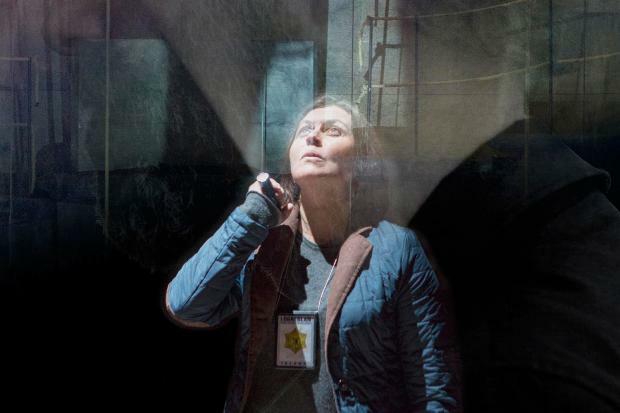 The lack of darkness certainly has an effect on the dogged detective Gabriela (Steinunn Ólína Þorsteinsdóttir) who has difficulty hanging curtains over her window. It does not help that her solitary domestic and troubled family life is so fraught she has trouble communicating with her mother and severely damaged sister. But she becomes enlivened when she is called upon to investigate the apparent suicide of a teenage ballerina who in the opening scene is hanging from a noose above the stage in a theatre. This single death then evolves into an unsettling exploration of the sexual exploitation of young women and the corruption lurking beneath Reykjavík’s respectable veneer. Gabríela is constrained by her superior who contends that a suicide occurred; therefore, there is no crime to investigate. But her instincts convince her that something is seriously amiss. As viewers witness over the course of nine episodes, Gabriela’s hunches prove to be devastatingly accurate. The dead girl’s birth parents are revealed as alcoholic abusers, her half sister is a drug addict and her adopted father is holding on to secrets. The ballerina girls are bullied and are subject to peer pressure. Through social media, voyeurs and blackmailers possess the power to destroy the reputation of teenage girls rendering them vulnerable to drugs, dodgy, creepy characters and pedophiles. But Gabriela is increasingly sidelined and during the middling episodes she is almost a peripheral figure. She is increasingly eclipsed by a womanizing, disgraced, alcoholic lawyer, Logi (Magnús Jónsson), along with a high-powered lawyer Brynhildur (Jóhanna Vigdís Arnardóttir), a friend of the dead girl’s parents. Once Logi finds a renewed purpose in his life, he exercises no restraint enabling him to penetrate the miasma of secrets and expose a perpetrator, results that carry a high personal cost. But in her understated, unflamboyant way, Gabriela still remains the moral centre of this intense drama. 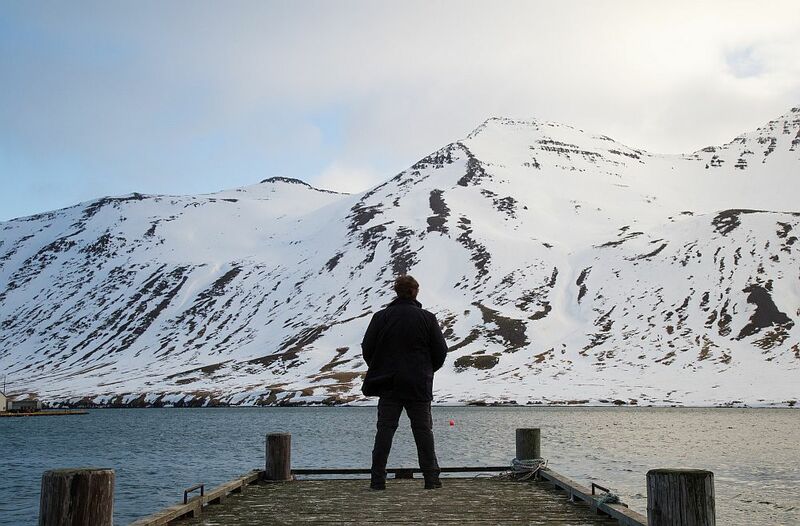 If Case might have been set anywhere in the summery white-night north, the same cannot be said for the moody, expertly crafted murder mystery in the ten-episode series Trapped (also on Netflix), that emphatically is located in wintery Iceland. Set at the edge of a fjord in the tiny fishing town of Seyðisfjörður , the presence of the bone-chilling cold, the howling blizzard and the destructive force of a spectacular avalanche causing a blackout is almost visceral. Collectively, they isolate the community from the outside world, including Reykjavík. The stark unforgiving landscape of the vast glaciers and frothing sea, combined with the power of the elements, reinforce the sense of the drama’s claustrophobic atmosphere in which nature dwarfs human beings neatly captured in the image of a character facing the majesty and awesomeness of nature. That image, recalling the German romantic artist David Caspar Friedrich’s Wanderer above a Sea of Fog, is one of the most pivotal in the series. The show's action begins when a fishing boat hauls in a mottled torso just as a ferry from Denmark is pulling into the sleepy town upending everyone’s life already shaken by Iceland’s 2008 financial meltdown. With the first episodes, we wonder whether the initial murder is related to a human trafficking ring, a plan to sell the port to Chinese interests, and a fire that gutted the local fish factory eight years previously that killed a young woman. At first the local police believe the murder suspect may be one of the passengers on the ship so they must remain billeted in the village, but the situation becomes scarier when evidence emerges that the perpetrator may be a local. When one of the most troubled characters says to the investigating officer, “you are an outsider, you never have had to look into the abyss,” we know that there is indeed something dark that is happening in this community. 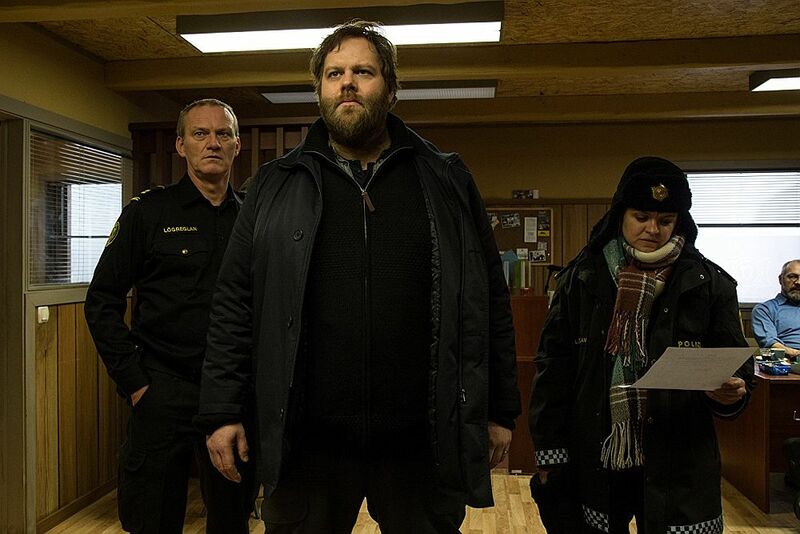 That investigating officer is a lumbering, bearlike, small-town police chief named Andri (Ólafur Darri Ólafsson) – steadfast, compassionate and a man of integrity – who leads an under-resourced three-person police force, that must cope with a growing number of dead bodies and the one-upmanship exhibited by a former colleague he previously worked with in Reykjavík who now leads a team of reinforcement to the village after the storm is over. Unlike Gabriela in Case, Andri is a strong presence throughout but, like her, embodies the moral compass ofTrapped. Olafsson’s subtle performance manages to communicate a wide range of feelings, including the pain he harbours trying to raise two daughters fearing that his estranged wife might take them away from him. He reveals as much through his eyes and body language as through the lines he delivers. Fortunately, he is ably assisted by Hinrika (Ilmur Kristjánsdóttir), one of Andri's cops who shares his professional devotion and may be the most empathetic police officer I have seen on screen or read in a novel. For its plot complexity, the emotional range of the characters, the marvelous visual cinematography and the impressionist musical score, Trapped is more than comparable to the outstanding Swedish-Danish production of The Bridge and the Danish series The Killing.